Citizens and municipalities often lack time, resources and technical expertise to initiate energy renovations, leaving the potential for energy savings largely untapped. European targets at the same time require 80% of energy savings in the building sector by 2050. REScoop MECISE took action to help bridge that gap. We support citizens and municipalities and help them to initiate energy efficiency measures and save energy in their homes or buildings. Our actions resulted in an overall investment of nearly EUR 10 million in energy efficiency projects. In winter, keeping your house warm can be a challenge. You consume a lot of energy, but for little return. As there are many ways to improve energy efficiency in your home, it can be difficult to choose what is best for your situation. This is why the cooperative Ecopower developed its cost-covering service “Ecotraject” to assist its members with deep energy renovations in their homes. They start with a thorough inspection of the home, to understand what would be most effective, and help the home-owner choose the best option and contractor. We all know that reducing our consumption -including energy- is the key to stopping climate change – this includes energy. Using LED lighting equipment cuts electric consumption in 5, compared to the light bulbs and lamps that are still used by many of us. Courant d’Air decided to encourage its members to participate in a collective purchase of efficient LEDs. With clear, straightforward communications, the cooperative managed to mobilise over 600 of its members, each one investing on average EUR 100 - EUR 60.000 in total- over only a few months’ time. This resulted in energy savings of about 228 MWh per year, providing financial savings of EUR 33.600 each year. Turn up the heat and make it your own! Eeklo – a city in Flanders of about 30.000 inhabitants – is for long a forerunner in renewable energy production on its territory. With signing the Convenant of Mayors, the ambition was set to become energy self-sufficient and climate neutral all at once. One key element in realizing this ambition is putting to good use the 15 MW of condenser heat that is lost at the waste incineration plant on the territory of Eeklo. To turn its plans into action, the city tendered the right of using the public underground for a district heating system. The requirements in the tender were rather innovative: parnters needed to allow at least 30% financial participation of citizens, they had to turn to 100% green heat in the system by 2036 and they had to supply heat at a cost comparable to heat from fossil fuels. Ecopower, a coop from Belgium - teamed up with waste and energy industrial giant Veolia and won the tender. The municipality being keen to involve all kind of local stakeholders, any party connecting to the DH system, individual citizens, but also SMEs, schools, elderly homes and the hospital are allowed to co-invest and have a say in the vehicle that is set up to own and operate the project. Ecopower helped the city of Eeklo to make it happen. 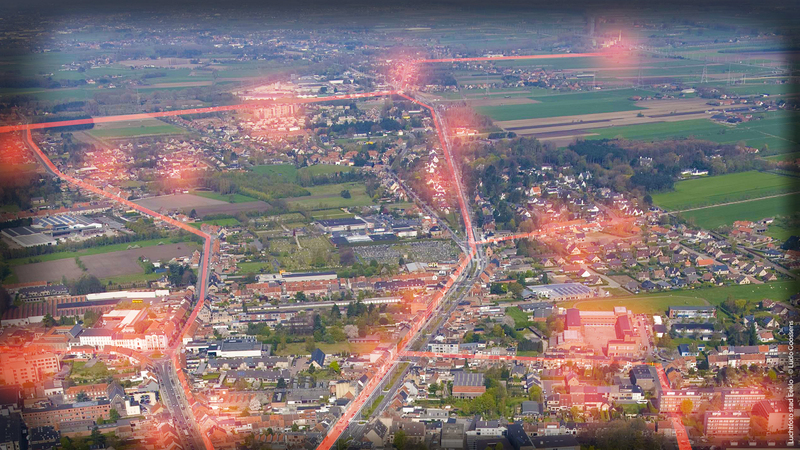 Thanks to this district heating project, Eeklo will reduce it greenhouse gas emissions over 40% by 2030. 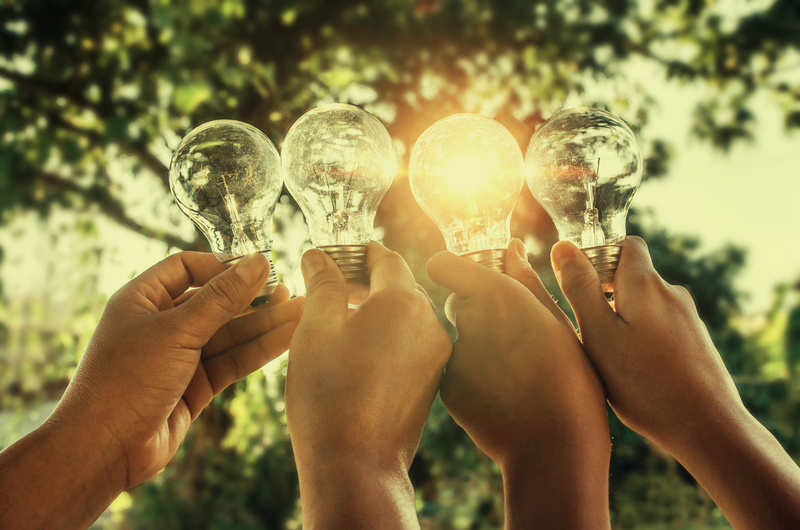 Ecopower successfully developed the cost-covering service "Ecotraject” to assist local citizens with deep energy renovations in their private homes. Ecopower and Courant d'Air are teaming up with municipalities, helping them to save energy in their public buildings.